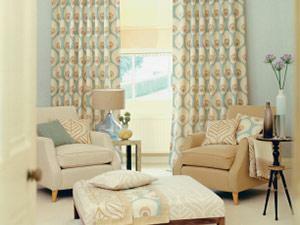 We offer a choice between cleaning curtains on or off site. An onsite refresh consists of a dry cleaning method to restore the condition of your curtains, by revitalizing the material and renewing its colours so that the overall result is clean and bright. The offsite service is a much deeper clean, recommended depending on the condition of the curtains. This consists of the removal of the curtains, having them dry cleaned, steam pressed and re-hung. Whatever the situation, Kevally Cleaning ensure that your home is left looking immaculate by taking the time to dress your curtains once they have been cleaned, thus restoring them to their original arrangement.